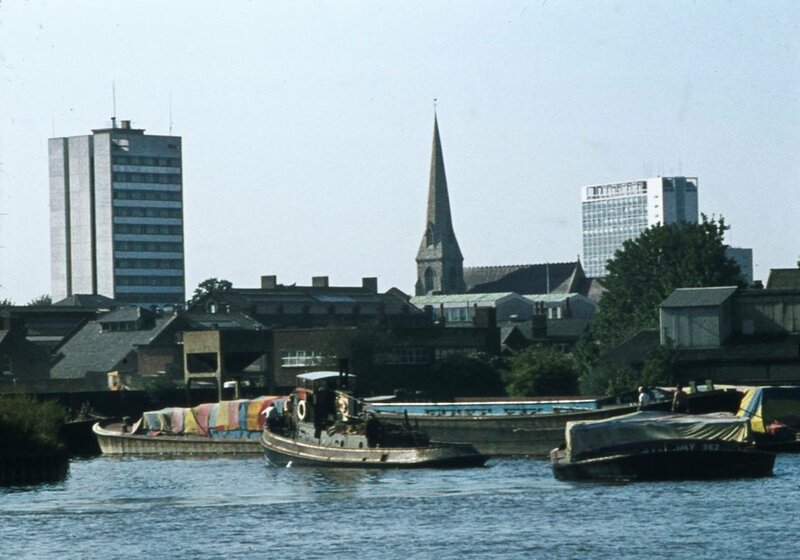 Peter Young took this photo from the Thames on 12th September 1973. In the background are two tower blocks, that to the left is the Police Section House, built around 1966, still standing, and to the right a block since demolished (not visible on Google Street View of August 2016). Perhaps someone can provide its name and when demolished? St Paul's church sits between them. The boat right foreground has a name that includes "JAY" and no. 362. Full list of Peter's photos, includig many more riverside views.